In terms of some startlingly baleful statistical figures, around 387 million people are estimated to have some form of diabetes worldwide – which equates to about 9 percent of world’s population and a whopping $612 billion global economic cost brought on by the metabolic disease. Furthermore, beyond monetary affairs, the affliction caused by type 1 diabetes – where the pancreas fails to produce enough insulin, is epitomized by how the patients have to take daily insulin injections. But as always, science surely has some answers – and one of them pertains to pancreatic islet transplantation. This process simply entails the ‘one-time’ (or periodical) injection of insulin-producing cells into the recipient liver. And the once the organ and these cells have adapted to their symbiotic scope, the islets start ‘generating’ insulin in a natural manner which avoids the need for daily injections. Now while the procedure is sound in theory, one of the practical predicaments to this method is the issue of preserving these insulin-producing cells. Simply put, storing and transporting the cells have proven to be difficult, especially since the cells have the propensity to be harmed by sharp ice crystals that occur during freezing and thawing (-15 to -60°C). 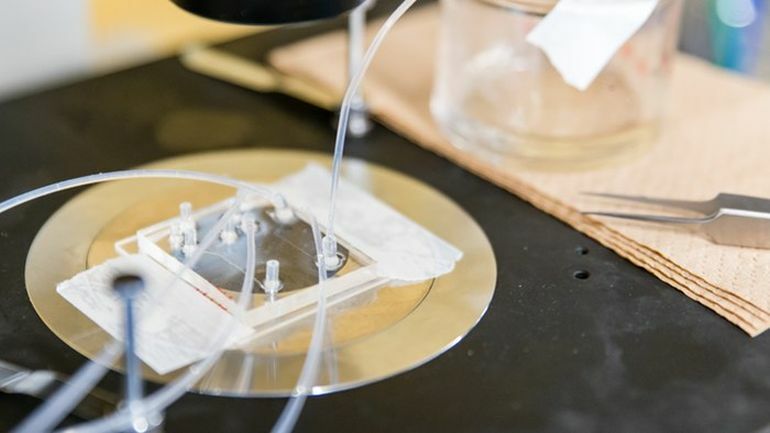 But this time around, scientists from Okinawa Institute of Technology and Science Graduate University (OIST) have collaborated with researchers at University of Washington and Wuhan University of Technology, to devise a cryopreservation solution. 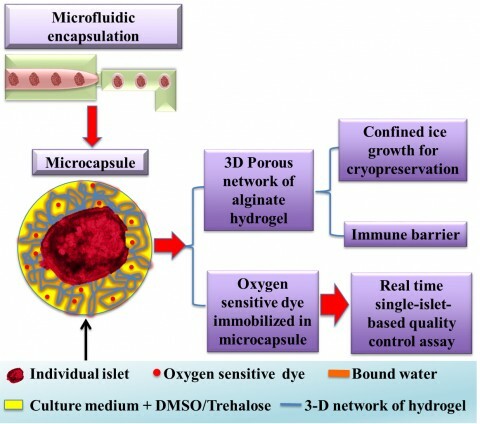 This encompasses a sepcial hydrogel made from alginate (which is a polymer extracted from seaweed), used as the protective encapsulation for the islets. So from the chemical perspective, the ice crystals are not allowed to grow due to the strong bond between water and hydrogel. Moreover given hydrogel’s porosity, the cells still have the much needed access to oxygen. The researchers tested out their conception by incorporating fluorescent oxygen-sensitive dye inside these hydrogel capsules – and the visually representing color schemes matched with the real time the presence of oxygen, thus demonstrating the cells’ apparent healthiness. The study was originally published in Advanced Healthcare Materials. 1 Comment on "Seaweed capsules can aid diabetes patients to forego daily insulin injections"
The diabetic dilemmas illness should be reversed just by adopting healthy changes in lifestyle. The diet should include fibre rich certainly and lots of fruits & veggies. Have 4 to 6 meals/snacks distribute similarly through on a basis that is daily. Set up exercising regularly. Supplements can be helpful additionally. Fish oil, a multivitamin that is daily minerals, pterocarpus marsupium, cinnamon, asian ginseng, aswell as fenugreek could help.